Step up your business attire with the men’s designer briefcase collection at Jules B. These luxurious briefcases are ideal for transporting documents, tablets and laptops, giving your office wear an elevated touch. Our current range includes renowned designer brands Paul Smith, Hackett and Ettinger, each one lovingly crafted from exceptional quality fabrics. Choose from classic black, navy, brown or cream shades and additional features such as long straps and padded compartments. 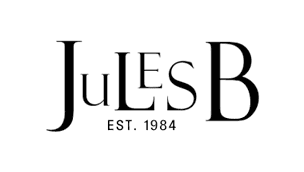 Find your style at Jules B today in our men’s designer briefcase collection, or take a look at our full range of men’s designer bags.